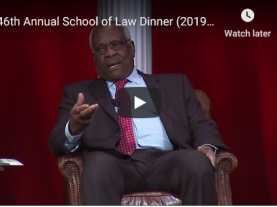 On Tuesday the Supreme Court hears oral argument in Department of Commerce v. New York; Amy Howe has our preview.On Tuesday the Supre...(click to view)On Tuesday the Supreme Court also hears oral argument in Mitchell v. Wisconsin; Amy Howe again has our preview. 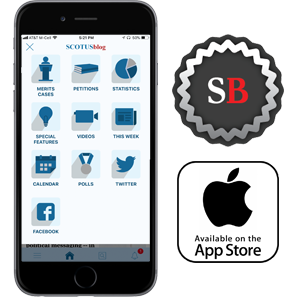 On Tuesday the Supreme Court also hears oral argument in Mitchell v. Wisconsin; Amy Howe again has our preview. In this week’s episode of SCOTUStalk, Sarah Harrington, a partner at Goldstein & Russell who formerly served as an assistant to the solicitor general, joins Amy Howe of Howe on the Court to talk about life in the Office of the Solicitor General.